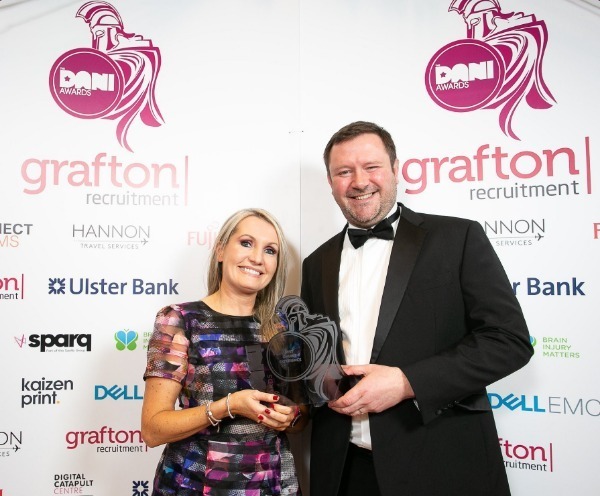 The DANI Awards have been celebrating digital excellence in Northern Ireland since 2010, showcasing talent and expertise across the creative, digital and tech industries. With twenty categories, a diverse mix of businesses get involved, including start-ups, entrepreneurs, social enterprises and public sector organisations. The Awards ceremony on Friday evening was a black-tie affair held in QUB’s stunning Whitla Hall, hosted by the notorious Paddy Raff who provided gasps and laughs in equal measure! We were ecstatic to win the highly coveted award for ‘Best Online Experience’ for our Visit Blackpool website. The new website has played a central role in repositioning Blackpool as a contemporary family destination; showcasing the breadth and quality of the year-round attractions, events and entertainment on offer. We’d like to thank the Visit Blackpool Team, they’re a pleasure to work with!